The z zg is a joint teaching, research and development facility University of Applied Science Mainz and University of Applied Science Schwaebisch Gmuend. It is simultaneously a knowledge base and creative lab.. 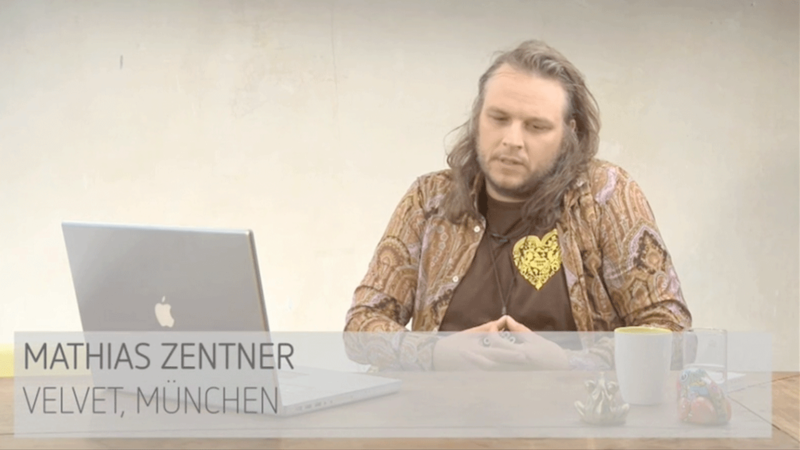 The foremost and creative minds behind z zg are media design professors Ralf Dringenberg and Anja Stöffler. They have instructed and researched for years in terms of communication, animation and interaction in real and virtual spaces. The focal point of their work is the role of typefaces and letters. 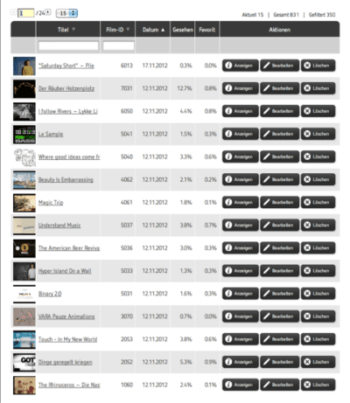 On this basis they are also developing new multimedia and interactive forms of presentation. Visible and tangible outcomes of this work were yielded in the unique archive ” Moving Types – Time-based Typography” with over 800 visual examples of animated typefaces and letters, the multimedia touring exhibition, “Moving Types – Letters in Motion, which has already garnered many awards, as well as several widely acclaimed interactive media facades. Nevertheless, archives, exhibitions and facades are more than merely compilations and technical implementations of knowledge. In these components, perceptions of the research itself are introduced directly into the reprocessing and presentation stages. Exhibitions and facades in particular are “living” examples of a new spatial form of the Internet, social media and social networking in a new third dimension. They simultaneously reflect the vivid spirit of the age and media world as well as their transformations during our time along with a vision of the future. It is precisely in this form of processing, presentation and involvement in the creation of this new dimension(s) that Anja Stöffler and Ralf Dringenberg perceive is also the core competence of the z zg under their direction. 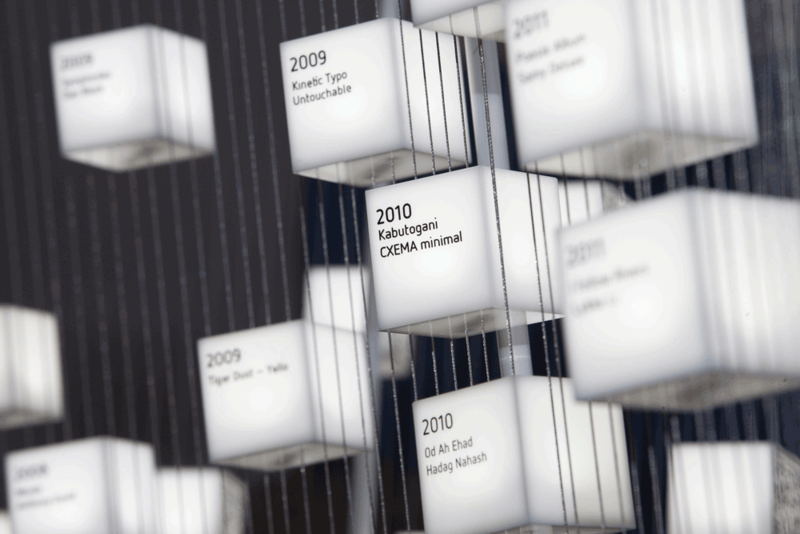 The “core” of the z zg is the comprehensive and unique archive, “Time-based Typography – Moving Types”. 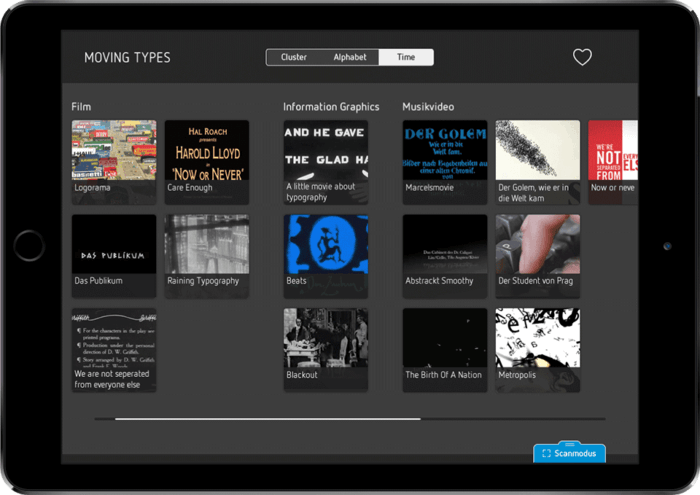 It comprises over 800 international visual examples of animated text and letters in film, art, advertising and public space from the beginning of the cinema until now. 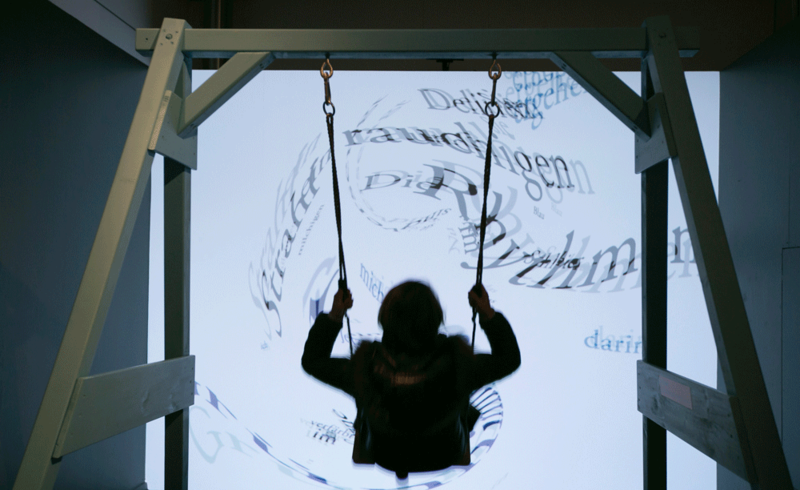 The repeatedly shown and award-winning interactive media exhibition “Moving Types – Letters in Motion” takes you through a century of history of animated letters. 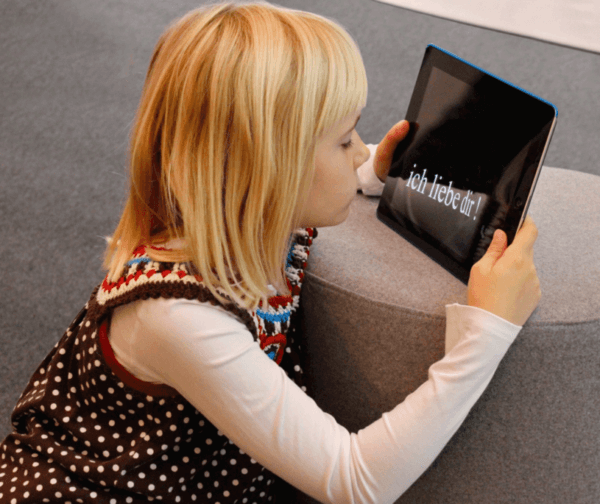 The innovations in the exhibition also include the media facades designed and implemented specifically for each exhibition venue, as well as the augmented reality “exhibition catalogue with integrated cinema” with more than 80 films. 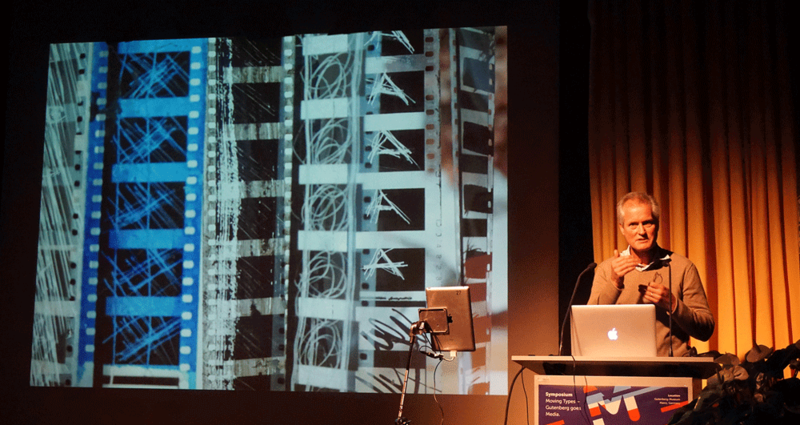 Symposium and Media Art Exhibition on the current state and future of letters in motion in art, design and space. 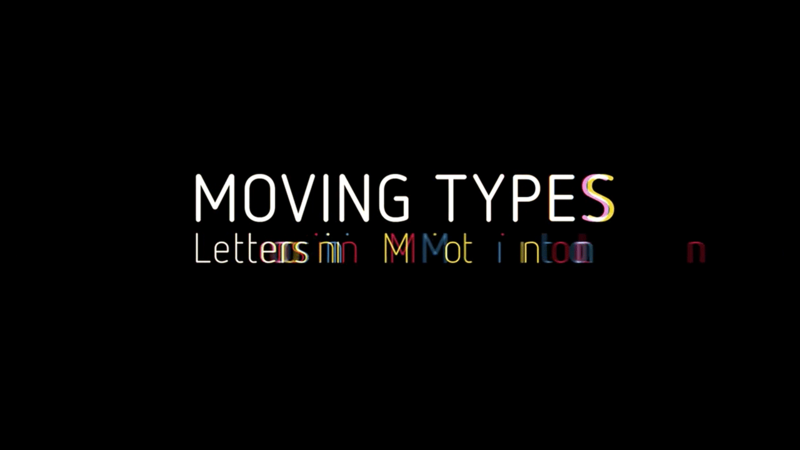 Under the title ‘MOVING TYPES – Gutenberg goes Media’, the phenomenon of the dynamic type and its added value compared to its static counterpart in an increasingly multimedia and convergent world. The exhibition features more than 70 selected works that impressively showcase the “Poetry and Philosophy in Motion” theme using moving text. Poems and texts by many authors, including Arthur Rimbaud, Hannah Arendt, Mascha Kaléko, Hermann Hesse, Pablo Neruda, Henry Wadsworth Longfellow and Socrates, or song texts by Maria Peszek and Johnny Tilloston form the starting point for artistic and audiovisual interpretations. 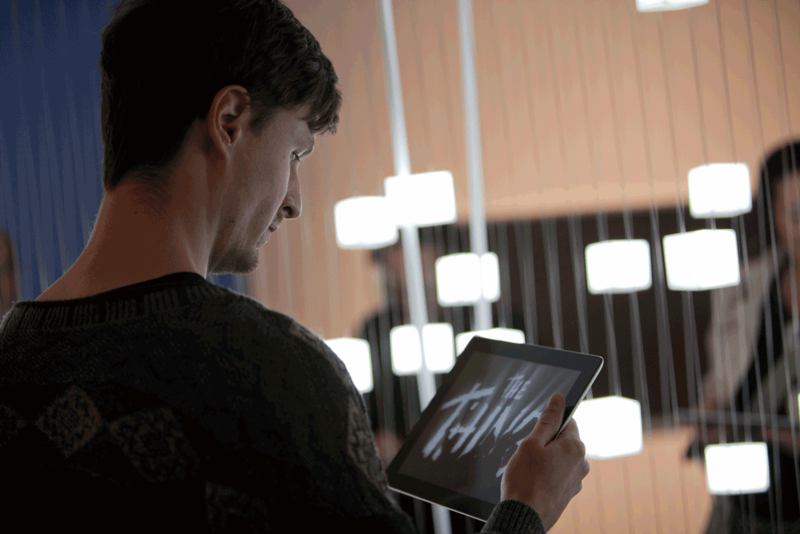 The spectrum ranges from poetry clips, typography films and music videos to interactive spatial installations, taking ‘Text in Motion’ to a new multi-sensory level of experience. Akademos also wants to be seen as a stage and forum seeking dialogue and interaction, encouraging people to participate in shaping and changing our ‘World in Motion’ on the basis of our historical roots and reflected in the context of today, in this moment and in tomorrow’s world. 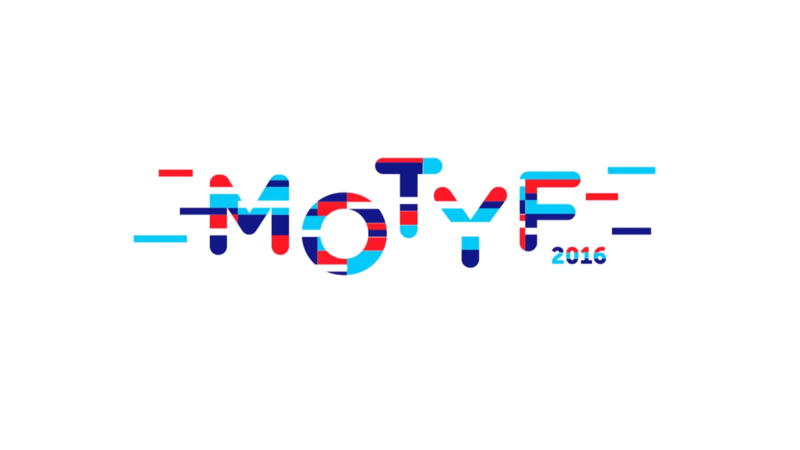 The MOTYF Festival 2018 took place in Dublin from 31.10. – 04.11.2018. Wellington in New Zealand will host the MOTYF Festival 2020. The “core” of the z zg is the comprehensive and unique archive, “Time-based Typography – Moving Types”. 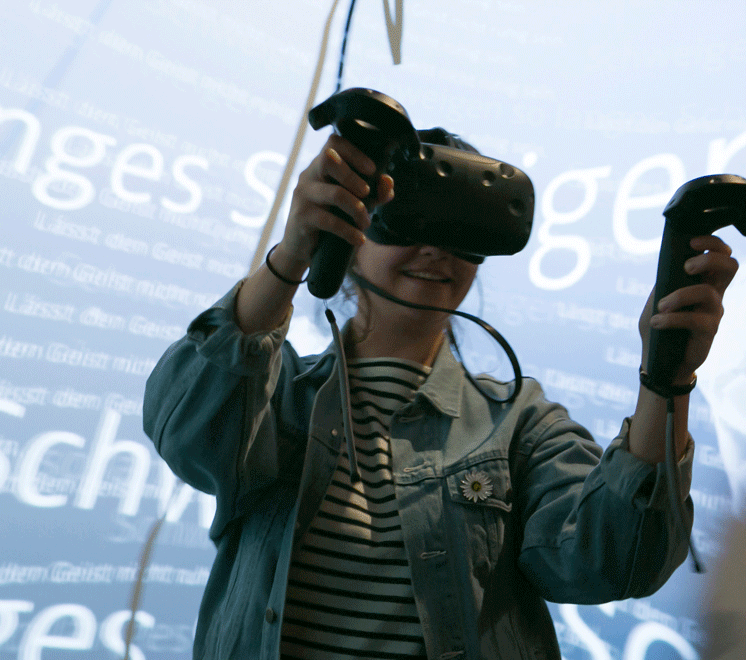 To date, Stöffler and Dringenberg have compiled over 800 visual examples of animated typefaces and letters in film, advertising, on the Internet and in public space – encompassing the inception film up to the networked and multidimensional Internet of Things of our times. In addition, they have conducted interviews with leading protagonists of this scene and have likewise recruited them. As a consequence, the archive is simultaneously a highly respected state-of-the-art compendium and who’s who of the industry as well as a frequently cited history of visual animation from the bygone 19th century up to the beginning of the 21st century. 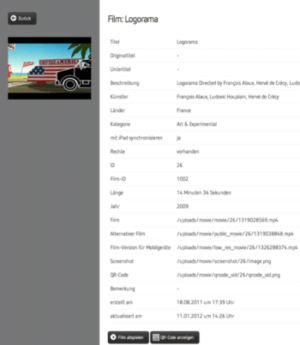 Dringenberg and Stöffler develop modern and multimedia media presentations on the basis of these archives, which render the visual and animated communication of the space graphically tangible. The “showpiece” of this work is the already repeatedly displayed and award-winning exhibition, “Moving Types – Letters in Motion”. 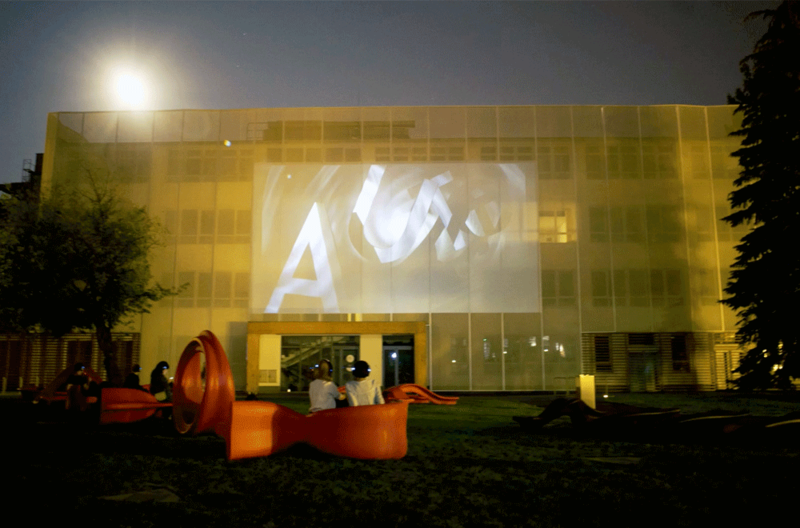 In this exhibition, film samples seemingly hovering in cyberspace portray the history and impact of animated typeface using an unusual modernistic exhibition design which are simultaneously rendered as interactively tangible in the context of a social media project that encompasses all facets of social communities. 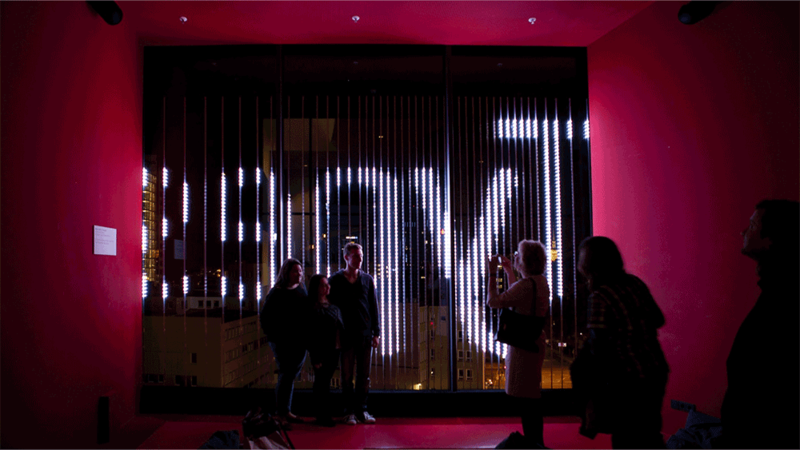 A second, closely associated project is the generation of interactive “media facades”, on which social messages in the public space can be projected – for example, with the inclusion of passers-by. Exhibitions and facades in particular are “living” examples of a new spatial form of the Internet, social media and social networking.